Harriet Tubman helped to create and operate the Underground Railroad that slaves followed to find their way to freedom. Relying on a network of secret meeting places, slaves were able to cross over to safer territories. Yet navigation was tough, and they relied on the stars to help them find their way. For the most part The North Star and the constellation of the Big Dipper were their guiding lights, and they referred to them collectively as the Drinking Gourd. In this craft your child will create her own Drinking Gourd to hang in her window. This craft is an excellent way to learn about African-American history, and it also provides fine motor practise. Picture of the The Big Dipper or "The Drinking Gourd"
Explain the story of the Drinking Gourd to your child and its importance in helping to direct the fleeing slaves to freedom. Then ask her to take a look at the picture of what this constellation looks like and remember it. 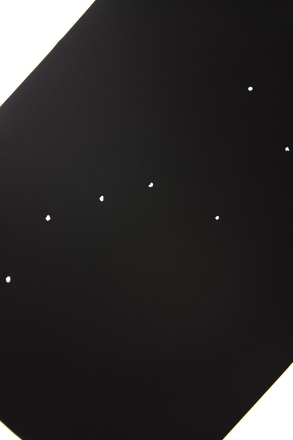 Ask her to then take a sheet of black paper, which will represent the night sky, and help her punch out holes, representing the stars. Start with the "handle" of the gourd. Once your child has fully punched out her representation of the Drinking Gourd, help her tape this sheet of paper up to a window pane. When night falls, watch as the moonlight filters through the holes casting the light of little star holes through the black paper. Ask your child to envision herself as a runaway slave looking to these very same stars for guidance. You may also then want to take your child outside and see if the two of you can spot the true Drinking Gourd up in the night sky. At the time of the Underground Railroad, around the 1840's, American states were divided on the issue of slavery. While many Northern states believed in freedom for the slaves, the Southern states were still very much for the free labor they were able to get for their crop fields. This division then gave fleeing slaves a goal to reach the Northern territories where they could live without masters. The network of the Underground Railroad was secretly created and along the way there were safe havens--homes or places that would hide these fleeing slaves as they made their journey. This song was created to help the fleeing slaves use the Drinking Gourd to find freedom. Draw what you see when you look out of the window or imagine something you'd like to see. 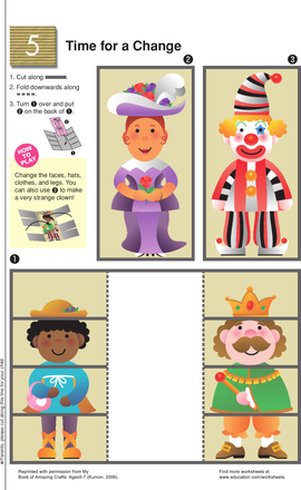 This printable cut-out mixes up faces, hat, clothes and shoes between different characters to inspire your child's imagination. When you look out the window, what do you see? Have your kid give this parachuting porcupine fish and rainbow a little colour. 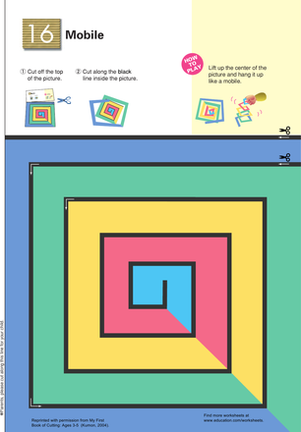 Get this crafty printable cut-out that helps your child's fine-motor skills while making a colorful mobile. 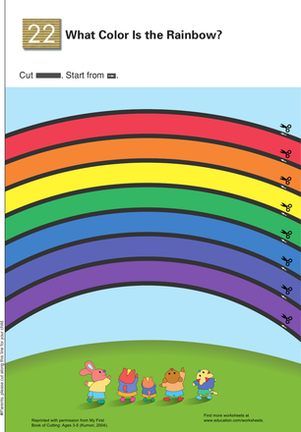 Flex your child's fine-motor skills with this fun rainbow cut-out that can be printed out for fun and learning at home. This exciting worksheet takes the stress out of maths by making it a hands-on experiment. This sturdy worksheet take the stress out of maths by making it a hands-on experiment. This worksheet takes the stress out of maths by turning it into a fun hands-on experiment. This stylish worksheets takes the stress out of maths by bringing making it a hands-on experiment.